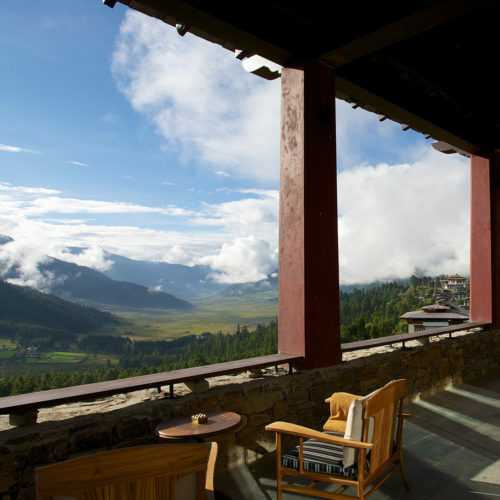 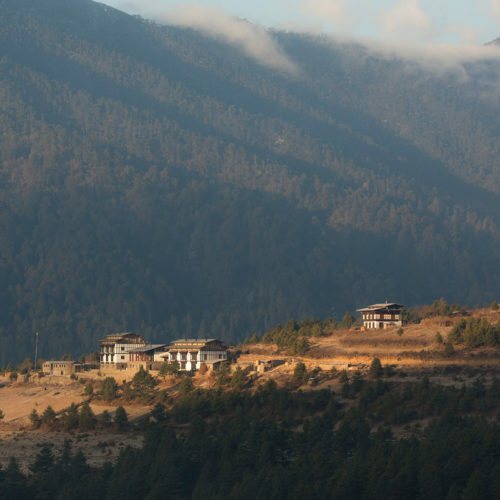 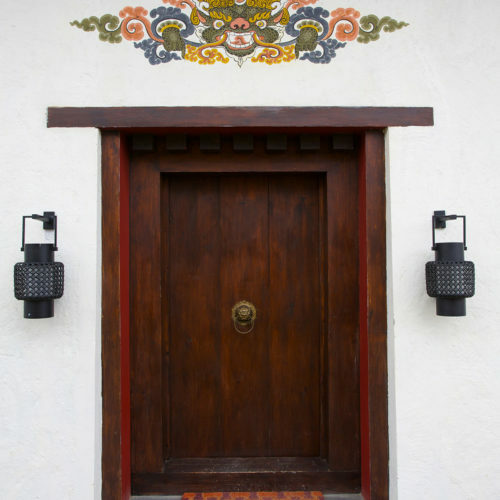 A six-hour drive from Paro takes you to the charming Gangtey Lodge, the latest, luxury hotel offering in Bhutan. 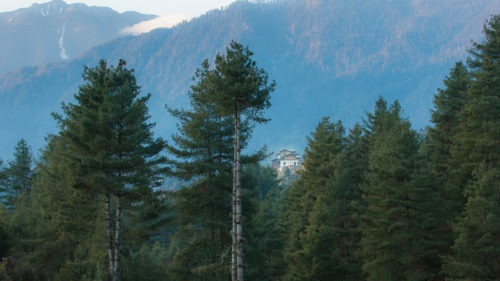 Situated near the imposing 17th century Gangtey Monastery, the 12-room lodge overlooks the rich cascading Gangte Valley and is the perfect retreat from which to enjoy trekking, mountain biking and even hot air balloon rides. 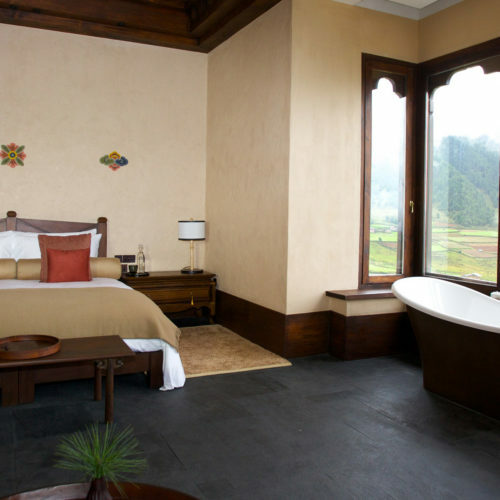 Here the rooms are bright and airy with exposed brick walls, wooden beamed ceilings and warm inviting interiors replete with individual wood burning stoves. 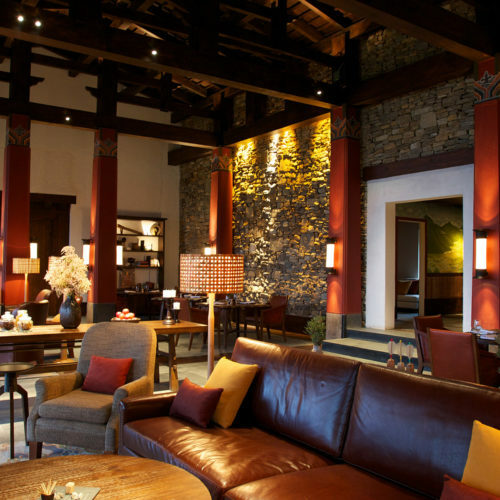 The heart of the Lodge centers around the cozy lounge and dining areas with wall to ceiling views of the valley below.